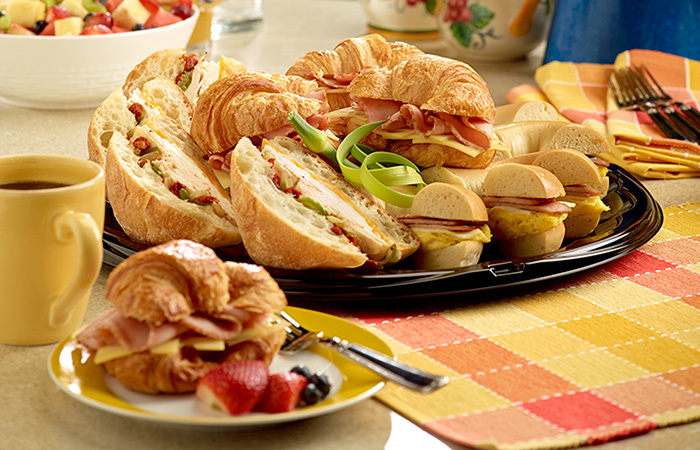 An Assortment Of Freshly Baked Croissants, Pastries, Muffins & Sliced Loaf Cake. Served With A Fresh Fruit Bowl & Fresh Squeezed Orange. Fage Non-Fat Greek Yogurt, Fresh Berries, Granola & Imported Greek Honey. An Assortment of Fresh Seasonal Fruit. Diced Red Skin Potatoes Roasted With Red Pepper, Green Pepper, Onion, and Seasoning.